SEGA Vintage Collection: Alex Kidd & Co.May 23, 2012The Sega Vintage Collection: Alex Kidd & Co. collection includes the Arcade version of Super Hang-on, MasterSystem version of Alex Kidd in Miracle World, and the MegaDrive/Genesis version of Revenge of Shinobi. 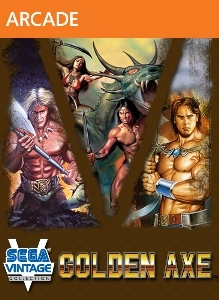 Now available on Xbox LIVE, Al..
SEGA Vintage Collection: Golden AxeMay 30, 2012The SEGA Vintage Collection: Golden Axe pack includes Golden Axe I, II and III. Grab your axe, swords, and mythic steeds to fight against evil in all three classic Golden Axe entries! 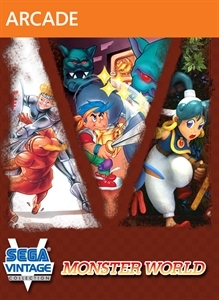 Originally released for the Sega Genesis, the classic fantasy b..
SEGA Vintage Collection: Monster WorldMay 23, 2012Bring peace back to Monster World in these three classic action RPG titles: Wonder Boy in Monster Land, Wonder Boy in Monster World, and for the first time outside of Japan, Monster World IV! 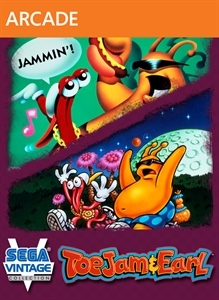 The Monster World saga features all new ..
SEGA Vintage Collection: ToeJam & EarlNov 7, 2012Join aliens ToeJam and Earl in their adventures across space in classic titles ToeJam & Earl™ and ToeJam & Earl in Panic on Funkotron™! This classic journey of two funky aliens has been updated for release on Xbox LIVE Arcade! Earn all new ac..